NASA has succeeded in placing two new satellites in orbit around the Moon. Both spacecraft were put in elliptical paths around the lunar body over the weekend after performing braking manoeuvres following their more than 100-day journey from Earth. The identical Grail twins are to map gravity variations across the lunar body in unprecedented detail. 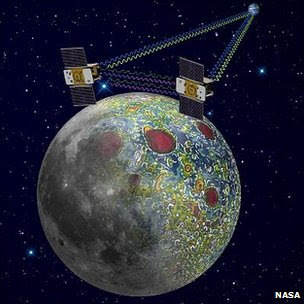 This will help scientists refine our theories for how the Moon formed.